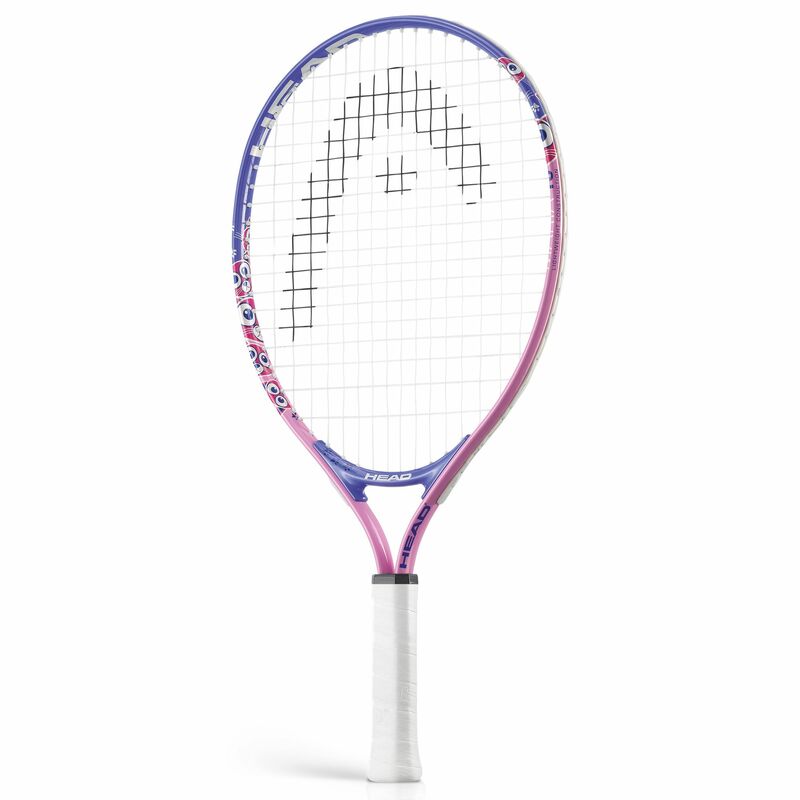 Let little ones be inspired by Maria Sharapova, with the Head Maria 19 junior tennis racket. This aluminium racket is designed to let those aged 2-4 concentrate on hitting the ball, being light at only 170g (6oz) and 19’’ (48.5cm) long. The racket has a good sized head, and is supplied strung with a synthetic string and with a head cover. A lovely racquet for a girl, pink and purple colours with cats on the frame. Good weight and good sized head. Our child moved up from a 17 to this 19 and her technique and confidence immediately improved. Only negative is the head cover, it's very cheap and flimsy, like the sort of duspisabke thumg you'd see a toy raquet hanging in in a toyshop and is likely to get ripped before too long. Would have preferred to pay more for a quality cover. for submitting product review about Head Maria 19 Junior Tennis Racket SS15.